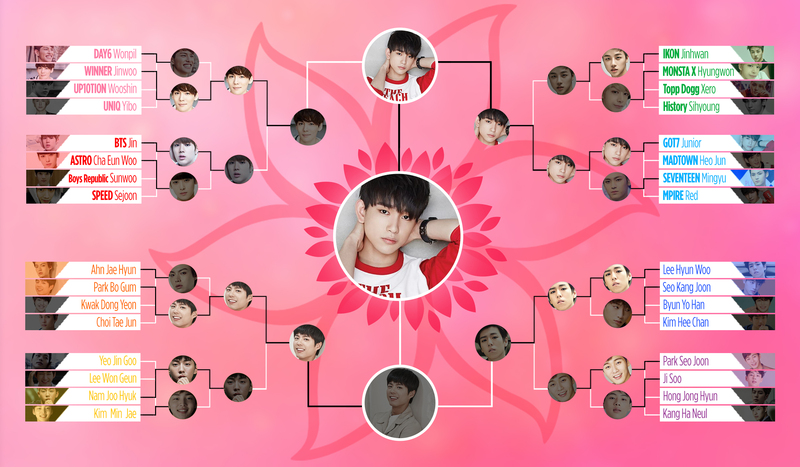 After starting off one month ago with 32 of the newest and brightest among idol groups and actors, and seeing more than half a million votes over five rounds, we finally have crowned our “New Generation Flower Boy” champion! Starting out as one half of JJ Project, he later debuted again with GOT7 as the visual and lead vocalist of the group. Junior has also displayed his acting talents through several dramas. Also congratulations to our runner up Park Bo Gum. He had to fight through amazingly difficult match ups from the highly competitive actor side of the bracket. Thanks again for voting and participating in our fun “March Madness” event. Feel free to share more of your favorite Junior pictures and gifs in the comments.